Welcome to the June Recipe Round-Up! 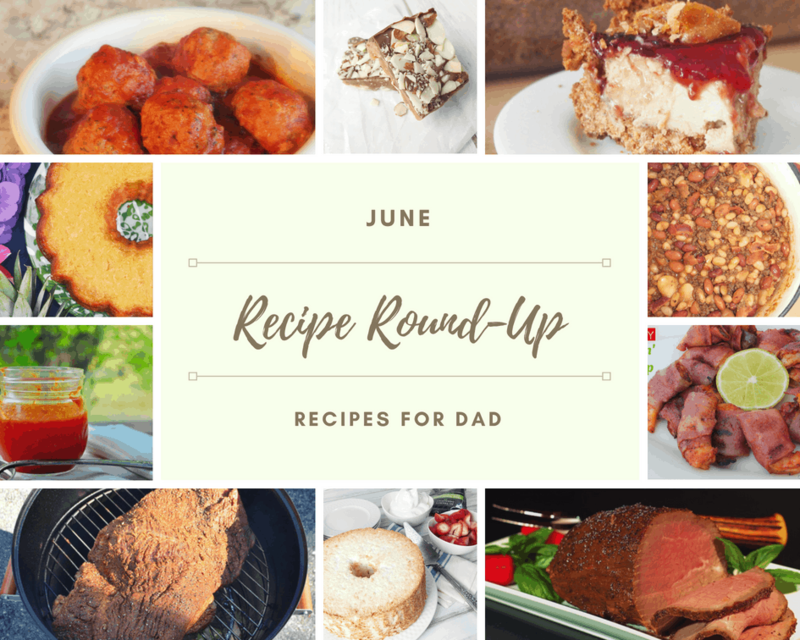 This months round-up brings you recipes in honor of our dads….because Father’s Day is coming soon! Our bloggers are sharing their favorite recipes that remind them of their dads or recipes their dads love, from breakfast to dinner to dessert. Come check out what we are bringing you this month! Plus we have another amazing GIVEAWAY that you don’t want to miss!! Now on to this months giveaway…Giveaway is open 5/31/18-6/5/18! These recipes look fantastic. So glad I found your blog!